How do you become a Member of CCFNT? To become a Member of CCFNT, Contractors must fill in the CCFNT Membership Application Form (pdf 324Kb). This form collects all of your business details to determine the cost of your annual Membership. Your CCF Membership is determined by 2 things. Your Business Category – Determined by your businesses annual turnover. Your Membership Type – Contractor or Associate Member. 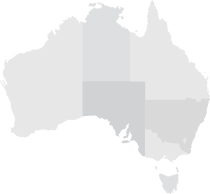 The Australian Electoral commission (AEC) has provided the Northern Territory Branch with its post-election report. Download the CCFNT Membership Application Form (pdf 324Kb).